The worms themselves can be dug out of your garden, or purchased from fishing supply shops. Be mindful of overcrowding your worms, if your jar holds about a gallon, then a dozen worms should be sufficient and keep them happy. Worms need air, so punch plenty of holes in the lid and place the lid on the jar. Keep the soil in the earthworm jar moist but not soggy wet, if the soil dries out then the worms will die. 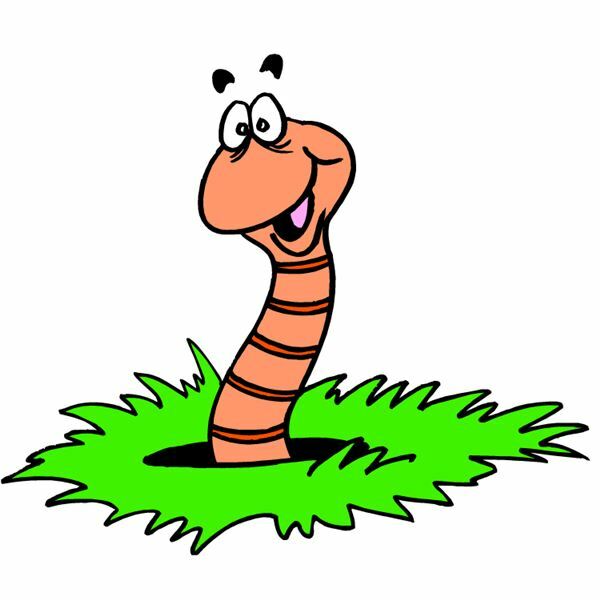 Feed your worms about once per day by sprinkling food on top of the soil. Worms like carrot peelings, cornmeal, coffee grounds, and crushed up, dry dog food. It is both entertaining and educational to watch earthworms eat food and soil, then push the substance through their bodies and out their tails. What comes out of their tails is the most perfect soil for planting vegetables! What a great way to learn to appreciate earthworms. Remember, earthworms live in the dark. They prefer the dark. When you are not observing and visiting with your earthworms, please prepare a shade for them. Take a piece of black construction paper large enough that it will fit all the way around the jar, and is at least as tall as the jar. Let your students decorate the outside of this paper with brightly colored crayons or chalk. Then tape or staple the paper so that it slides easily over the earthworm jar. Make sure that the design is on the outside! When you are ready to set your earthworms free, simply empty the soil into your garden or yard, and the earthworms will continue to do their work and feel right at home.